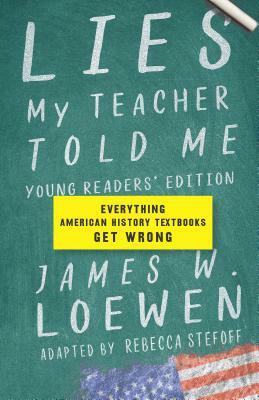 Originally written as a critical survey of leading U.S. history textbooks, Loewen’s classic LIES MY TEACHER TOLD ME has sold nearly two million copies. The YOUNG READERS’ EDITION now streamlines LIES MY TEACHER TOLD ME to its most vital parts to tell the actual story of the first Thanksgiving, the unembellished history of Helen Keller’s socialist ties, and the truth behind United States’ military interventions from Latin America to Iraq in accessible and often humorous chapters sure to spark readers’ curiosity and visions for a better future. LIES MY TEACHER TOLD ME: YOUNG READERS’ EDITION is the perfect handbook for students to become invested and informed citizens, equipping them to make their voices heard in their classrooms, communities, and the nation. This event is co-sponsored by Teaching for Change, the New Press, and Busboys and Poets. James W. Loewen is the bestselling and award-winning author of Lies My Teacher Told Me, Lies Across America, Lies My Teacher Told Me About Christopher Columbus, and Sundown Towns (all from The New Press), as well as Teaching What Really Happened and The Confederate and Neo-Confederate Reader. Loewen is professor emeritus of sociology at the University of Vermont and lives in Washington, D.C.